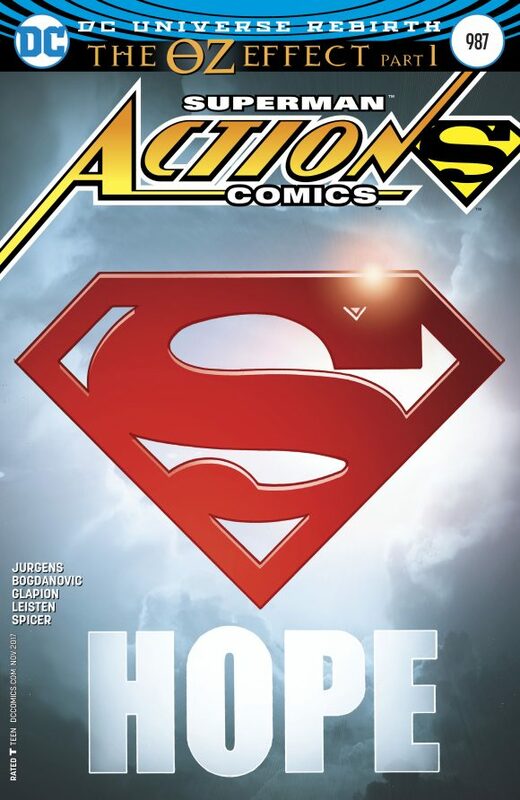 Action Comics #987, DC. This is going to be a huge week for DC. First, Mr. Oz’s identity is finally going to be revealed in Part 1 of The Oz Effect, by Dan Jurgens and Viktor Bogdanovic. This arc follows The Button — the Batman/Flash crossover in the spring — in setting up Doomsday Clock, the mega-showdown between the DC Universe and the world of Watchmen. 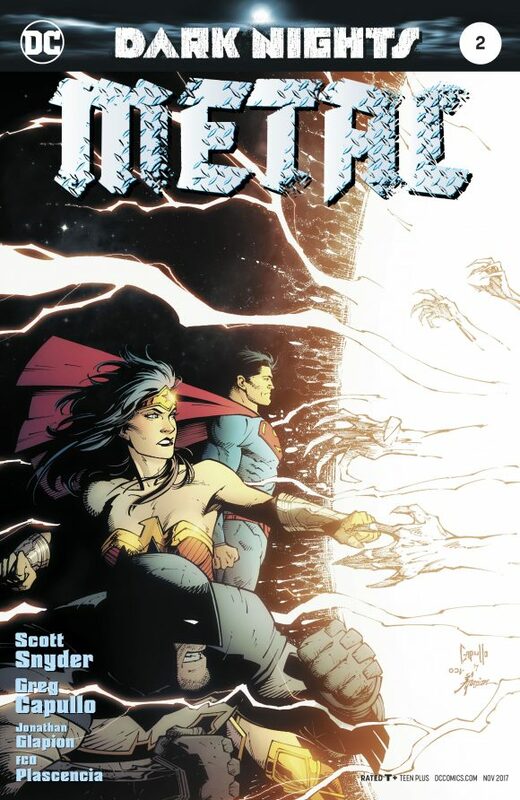 Metal #2, DC. 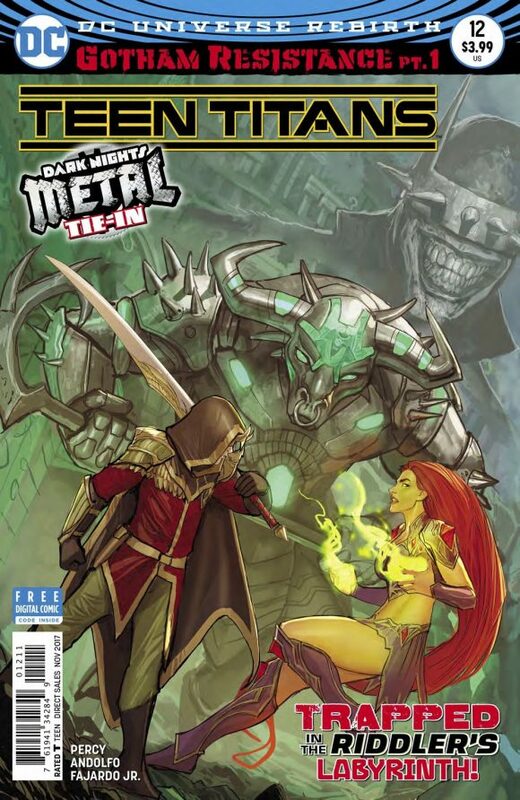 Though I suppose technically the title is Dark Nights: Metal. Whatevs. Part 1 of Scott Snyder and Greg Capullo’s mega-event was right on, so I’m very much looking forward to this one. By late November, between Metal and Doomsday Clock, DC is going to have two major events going on simultaneously. That’s pretty amazing. Good time to be a DC fan. By the way, click here for 13 Things You Didn’t Know About Hawkman. 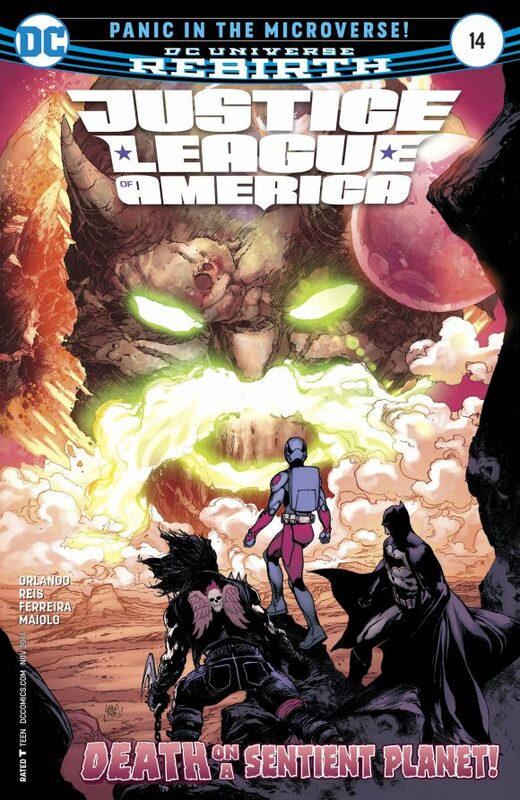 Justice League of America #14, DC. Speaking of the Winged Warrior, Hawkman and the (Silver Age) Atom are both getting a lot of off-screen attention right now. The hunt for Ray Palmer continues here — by Steve Orlando, Ivan Reis and Joe Prado. Teen Titans #12, DC. I’m told you should read Metal #2 before you read this tie-in. I mean, it pretty much says that on the Metal checklist, but still. Robin assembles a ragtag team to fight back in a Gotham turned upside down. By Benjamin Percy and Mirka Andolfo. Amazing Spider-Man #32, Marvel. The highest compliment I can give an artist is that I’d want to see them on Batman. That’s very much the case with Greg Smallwood. But I’ll settle for him on Spidey for this fill-in that sets up big things for Mr. Parker. 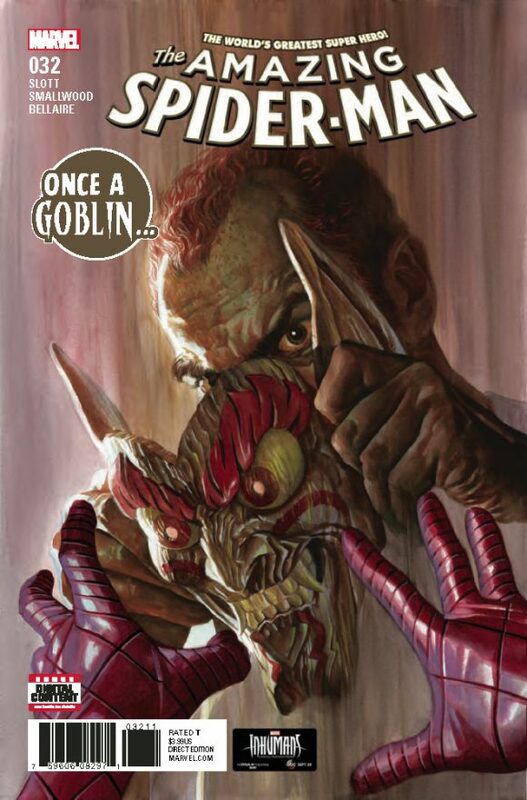 Written by Dan Slott, natch. Sheena #1, Dynamite. As with Red Sonja, the magic of a 25-cent zero issue was enough to get me to take a chance on Sheena. Well, that and the Moritat art. But I dug what I read by writers Marguerite Bennett and Christina Trujillo, so I’m back for Issue #1. 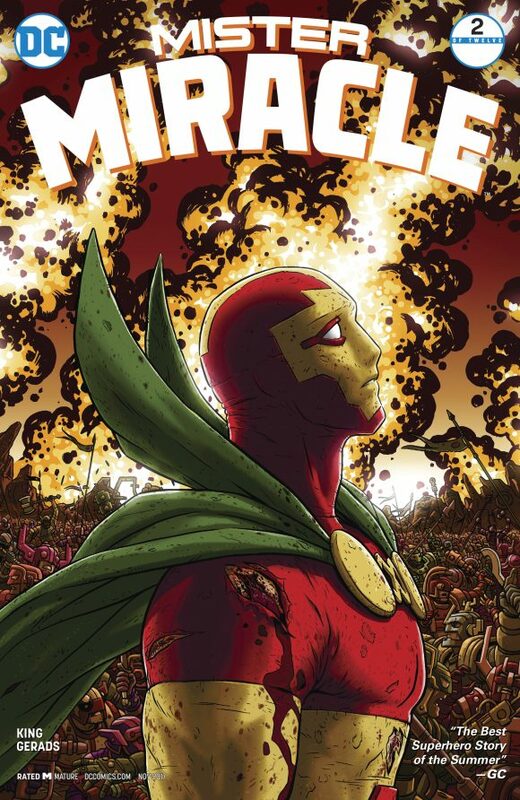 Mister Miracle #2, DC. Tom King and Mitch Gerads put together an excellent first issue. DC did right by Jack Kirby this year. 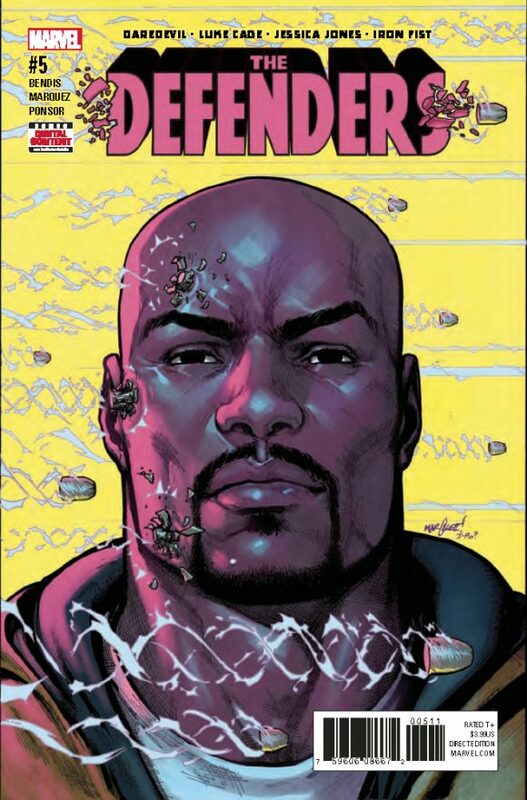 The Defenders #5, Marvel. Solid book by Brian Michael Bendis and David Marquez. I need to go finish the show. 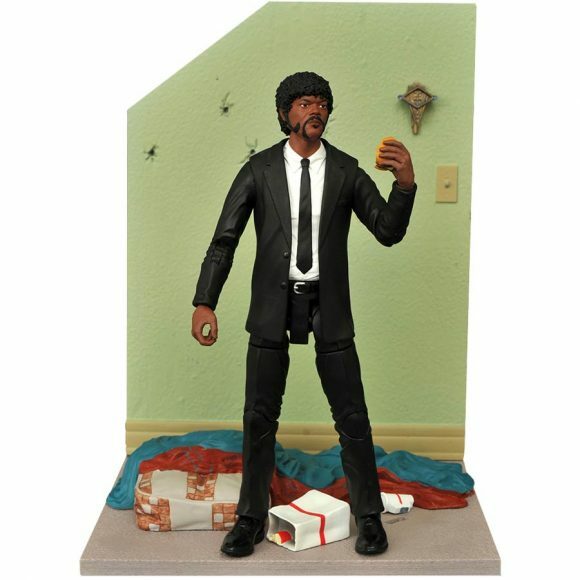 Pulp Fiction Jules Winnfield Action Figure, Diamond Select Toys. Comes with a tasty burger. Does not, apparently, come with a wallet that says Bad Mother Fucker. Perhaps in a Diner Scene variant? 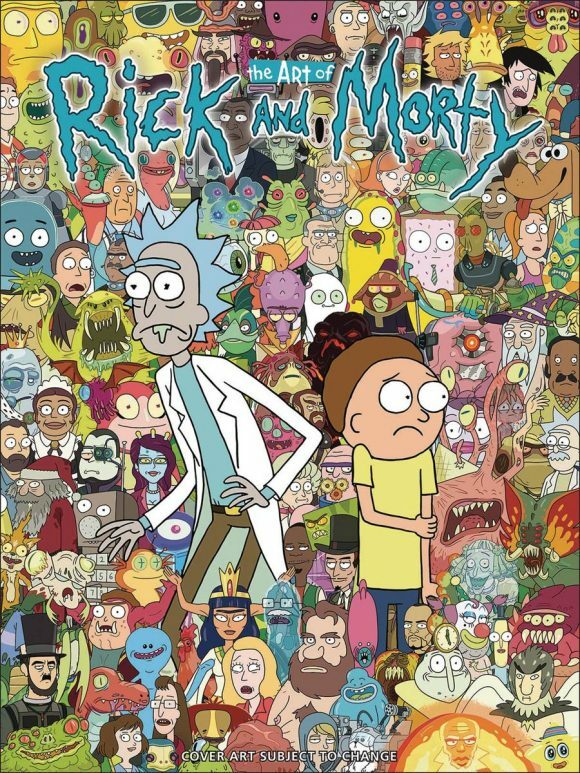 The Art of Rick and Morty HC, Dark Horse. This series is pure insanity and sheer genius; I’ll take any look behind the scenes I can get. By Sam Siciliano and series co-creator Justin Roiland. 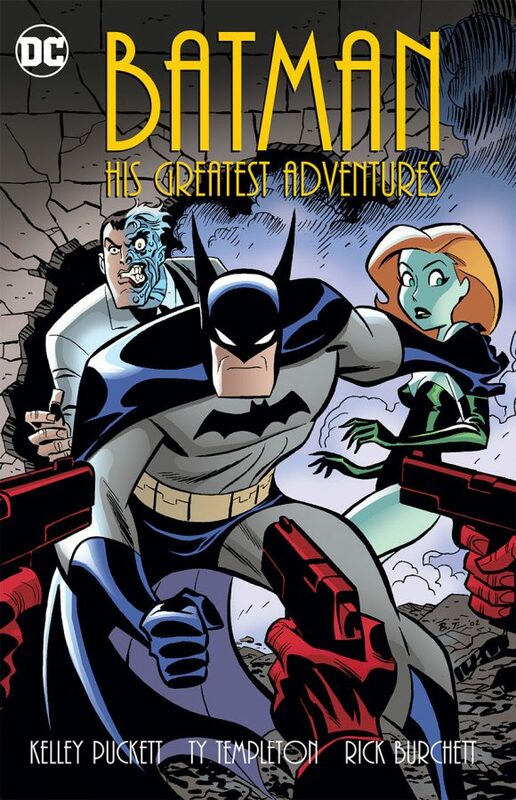 Batman: His Greatest Adventures TPB, DC Comics. 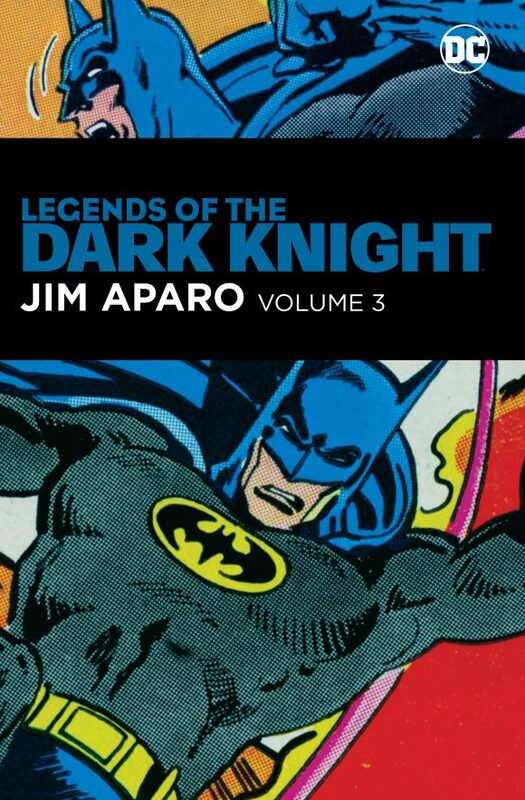 The Batman: The Animated Series tie-in books were consistently some of the best comics DC published when they first came out, so whatever stories have been selected for this collection, it’s an easy recommendation. By Kelley Puckett, Ty Templeton, Rick Burchett and several other fine creators. 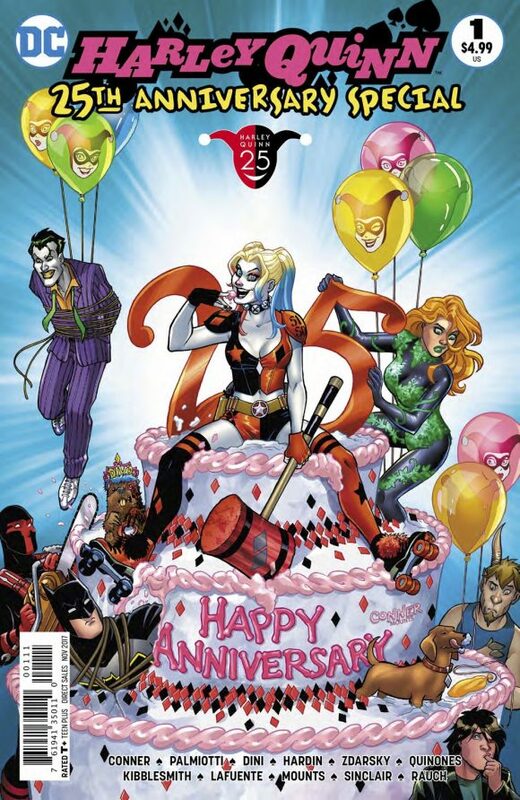 Harley Quinn 25th Anniversary Special, DC Comics. It’s easy to forget that 25 years of Batman: The Animated Series (click here) also means 25 years of Harley Quinn! This anniversary special features her regular chroniclers, Palmiotti and Conner; her creator, Paul Dini; and a number of guest stars, including Chip Zdarsky and Dan Kibblesmith. 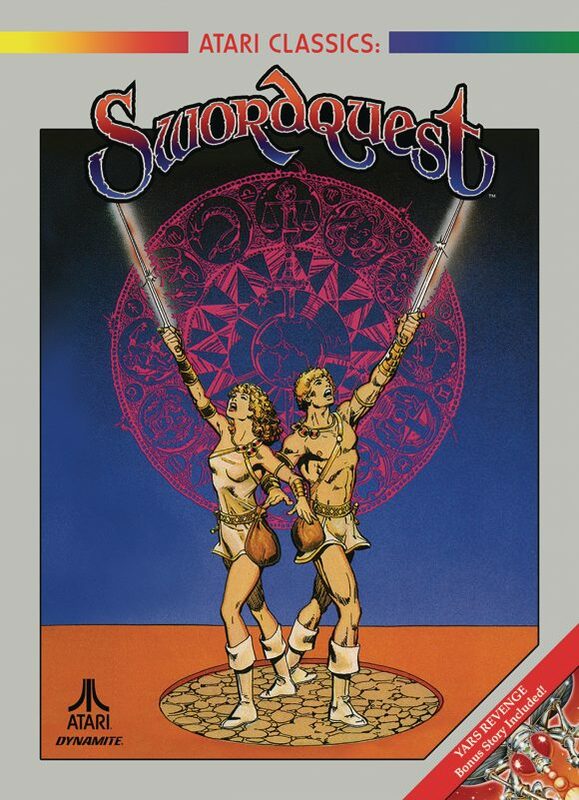 Atari Classics: Swordquest TPB, Dynamite. I remember reading these as a kid when they came with the Atari cartridges, but totally forgot they were by Gerry Conway and George Perez! 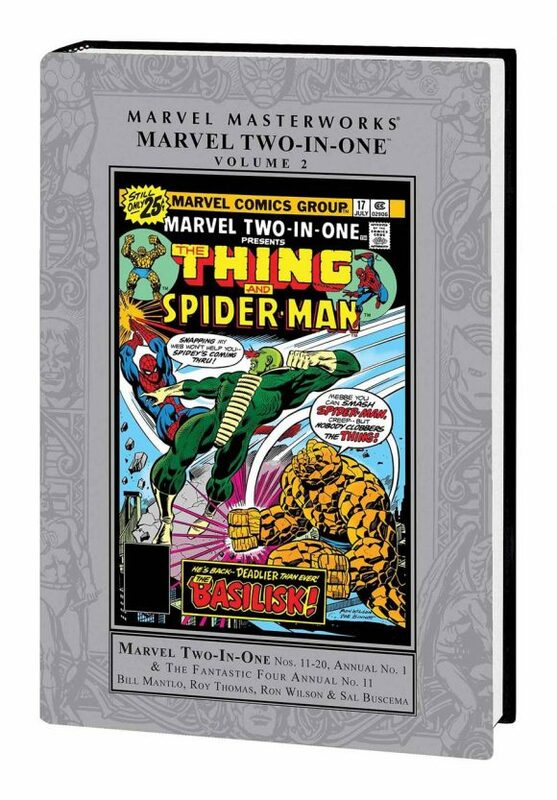 Marvel Masterworks: Marvel Two-In-One Vol. 2 HC, Marvel. Marvel Team-Up always seemed to be the more glamorous book, but I was a big fan of Marvel Two-in-One with the Thing. He seemed like a more logical choice to team up with folks, and whether it was Thanos attacking or the Serpent Crown taking over Project Pegasus, MTIO was the book where stuff happened.